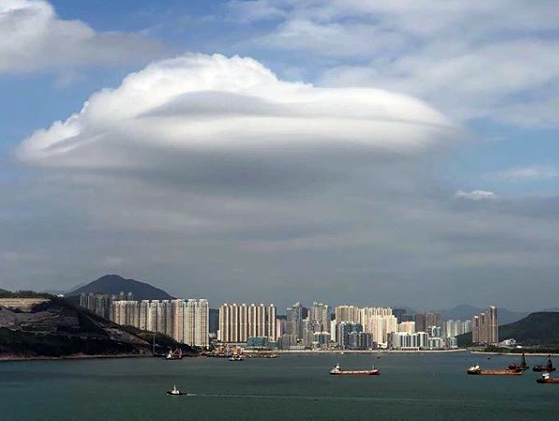 Witness this event, tweeted that he saw a huge cloud hovering over Hong Kong. At the same time, the cloud was smooth like a UFO, and hung out there for hours as other clouds passing by. The appearance of a typical cloud (most likely lenticular, formed in the place where the air flow flows around obstacles, and which is essentially a visualization of a standing wave, because of which it may be a long time to change their position in space).